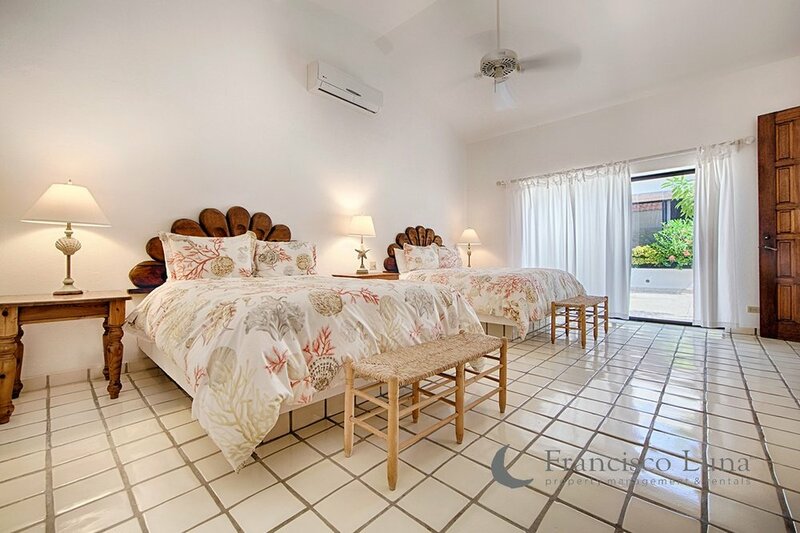 bed 4 · bath 4.5 · SLEEPS 12 · From $1.500 TO $4.000 usD per night + tax. 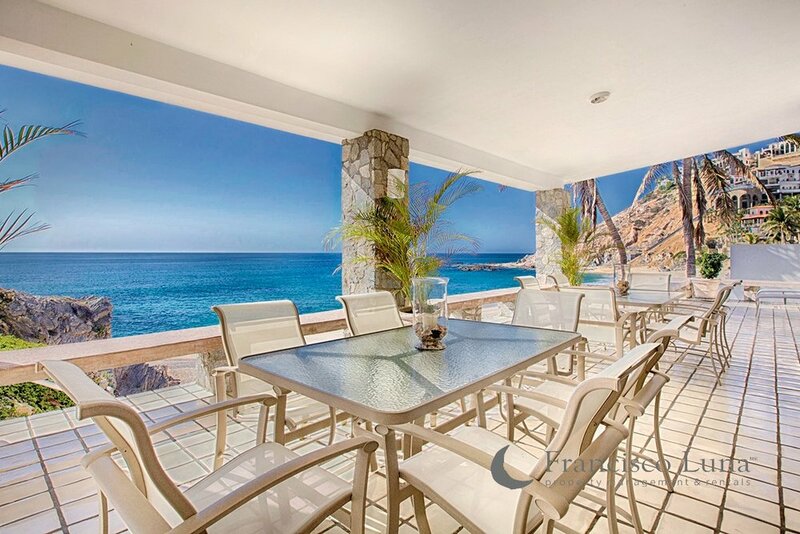 One of the coziest villas in all of Cabo, Mar de Vida is the essence of a Southern Living Beach Cottage tucked neatly into a cove on the majestic Sea of Cortez. 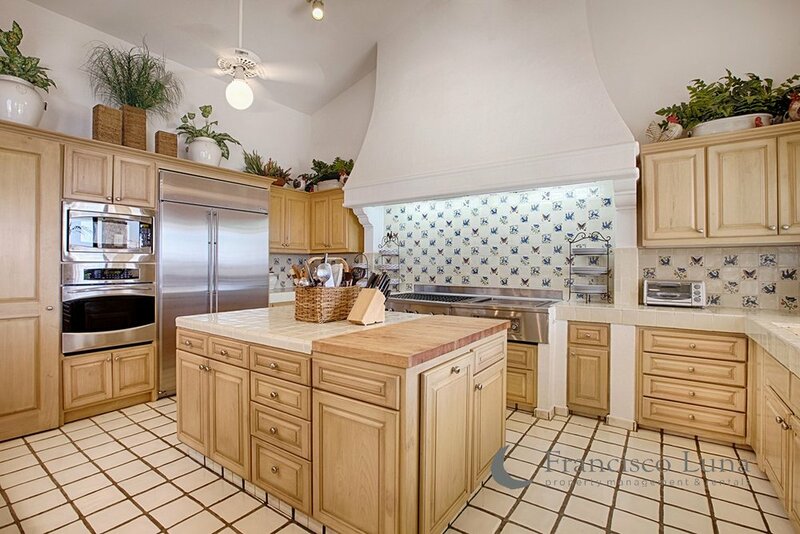 Nestled into a private cove in the Punta Bella development of Palmilla Sur, Villa Mar de Vida is one of the most charming villas that you will find. Built on one level to allow maximum natural light, the natural flow of the design creates privacy within a communal setting. 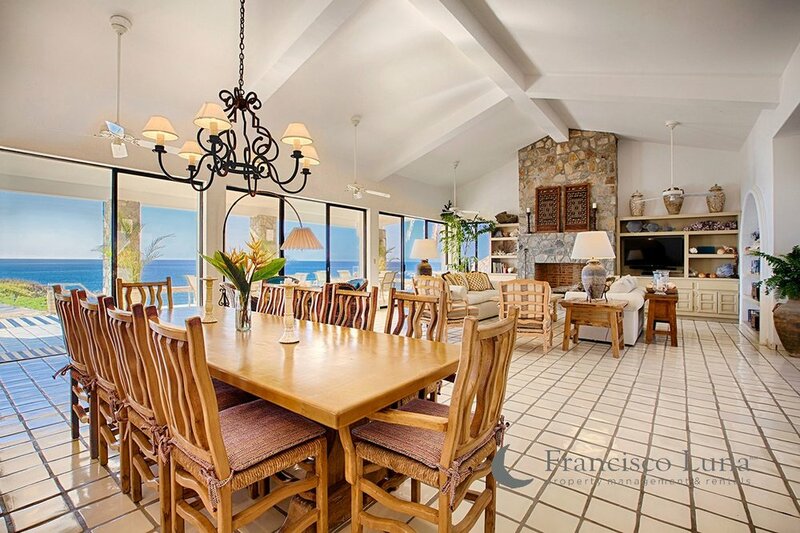 Four individual suites join at the central living area which is glass from wall to wall providing breathtaking views of the Sea of Cortez. 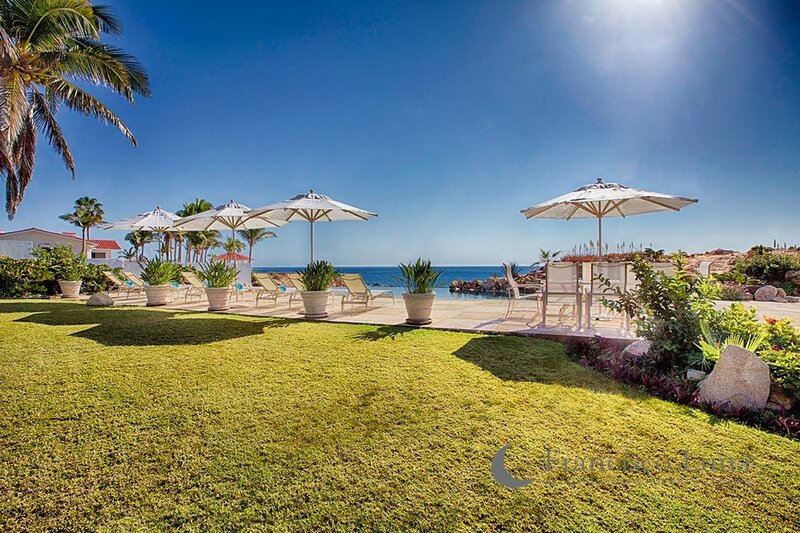 Situated on top of a rocky knoll, the vantage point of Villa Mar de Vida gives you an elevated view down the completely private beach. 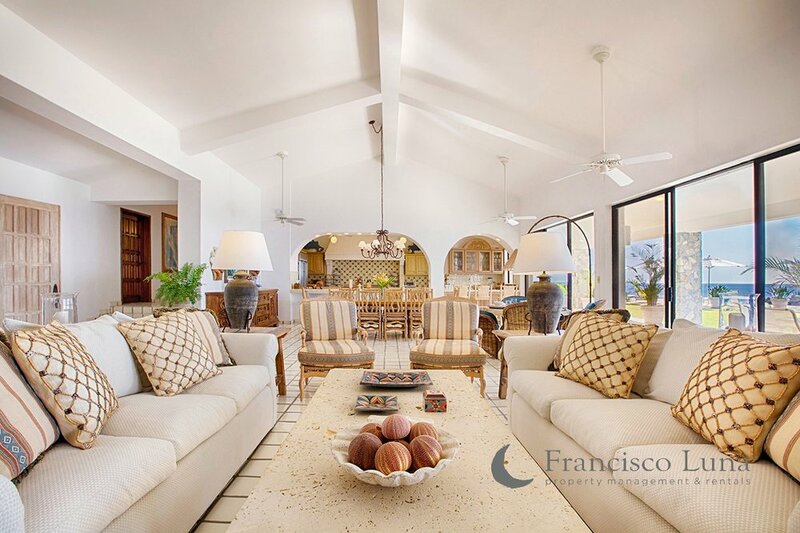 Comfortable furniture, white-washed interiors, and modest decoration make this villa an incredibly comfortable getaway spot. If you are looking to relax and spend quality time with those with whom you are traveling, this is where it will happen. 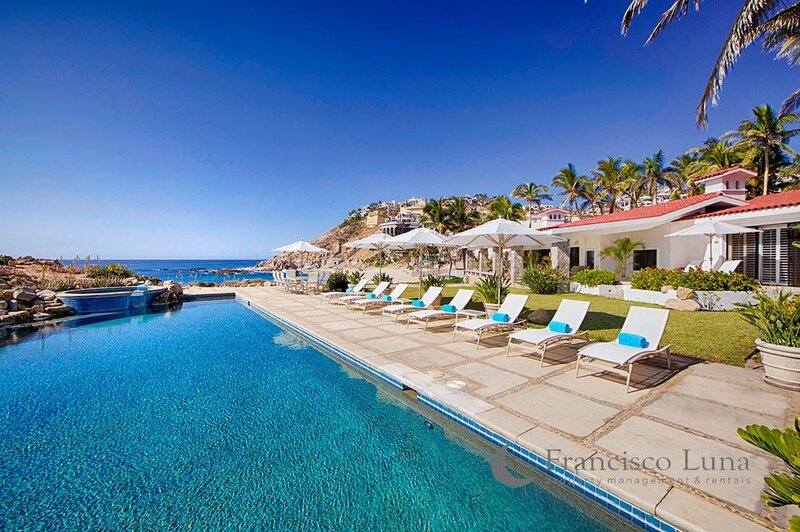 Words do not adequately explain the solitude of this villa, or the calming effect of laying by the pool situated out on top of the knoll with 180 degrees of Sea of Cortez around you.